When I set out to get a new diaper bag my requirements were that it be 1.) Stylish 2.) Functional. It's hard to find an affordable bag these days that meets both of these requirements, but I discovered TwelveLittle and fell in love! 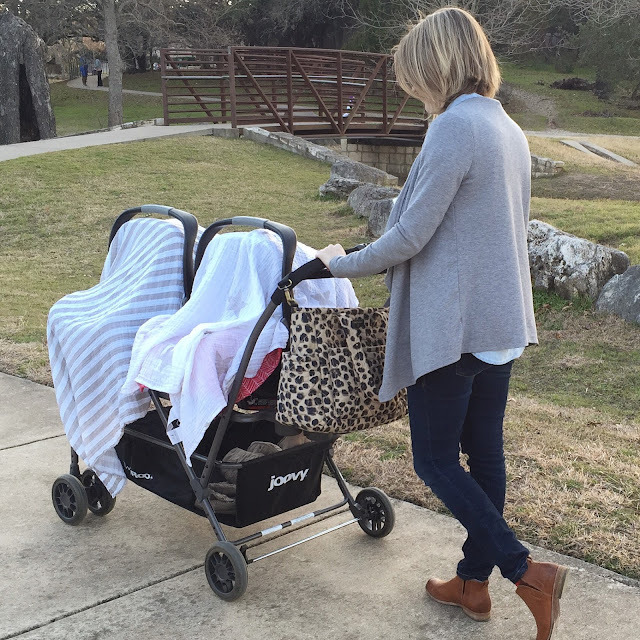 Their bags are absolutely adorable yet durable for the messiest baby. 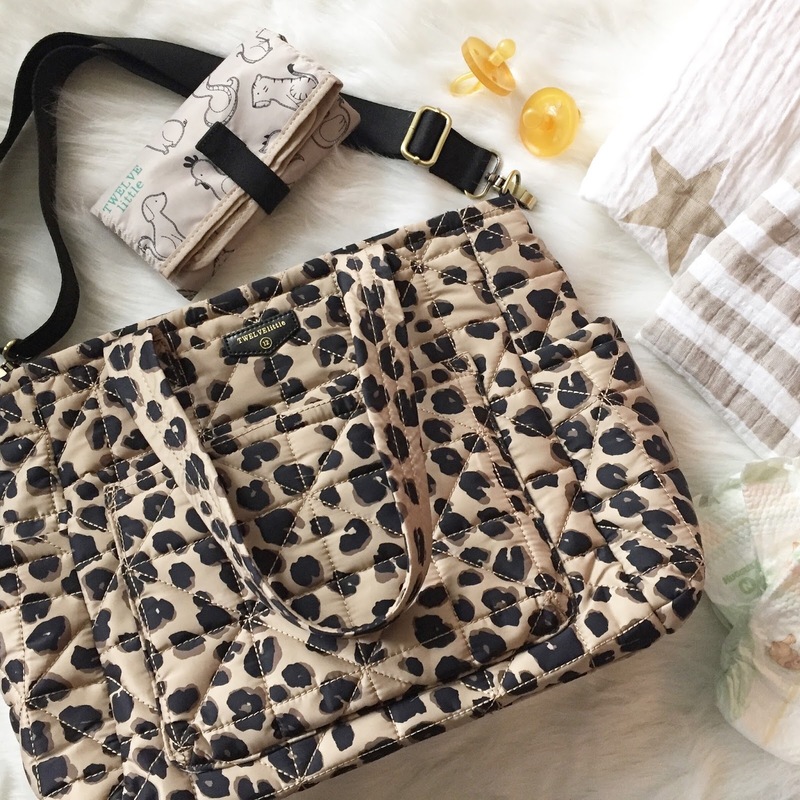 I was immediately drawn to the leopard print, and ultimately chose the Carry Love Tote because I like the fact that I can carry it on my shoulder or across my chest as a messenger bag (you need a hands free option with twins). There are a TON of pockets in the bag, which are perfect for twins since most of the time I have two of everything. The nylon material is great when I have spills because it can easily be wiped clean. The best part is that I really don't feel like I'm carrying a diaper bag around. It feels like a purse that I would pair with my outfits, and I get compliments daily about how cute it is. I'm excited to be giving away this exact bag on my Instagram page! Head over to my IG page to find out how to enter...it's super easy!